The Super ActivO ozone generator is the global leader in its performance class. 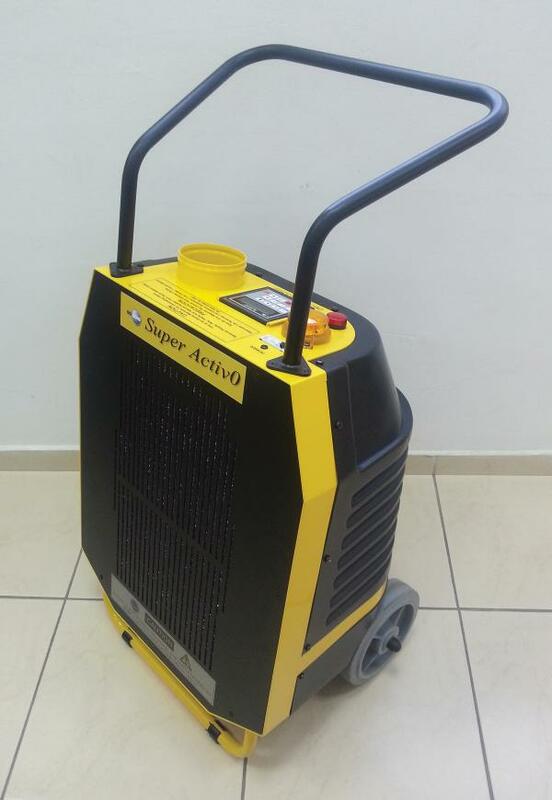 The Super ActivO is a rugged and fully mobile ozone generator designed for use by restoration professionals performing indoor fire and flood deodorization to eliminate odors from smoke,mold,mildew and sewage. The Super ActivO utilizes unique U.S patented double dielectric barrier discharge technology to achieve an industry leading ozone output of 12,000 mg/h under ambient air conditions. This high level of ozone is especially ideal in treating homes and buildings with fire damage where it is well known that remediation is best achieved with high concentrations of ozone. The Super ActivO features both an activation cycle and a unique fully automated deactivation cycle. This deactivation cycle rapidly clears an area of ozone after the ozone treatment is completed, minimizing the time that an air restoration professional must spend performing air treatment. The Super ActivO complies with UL,FCC and CSA standards. The Super ActivO ozone application process requires first removing people,pets,plants and items containing natural rubber from an enclosed area. Super ActivO operation is then achieved by using a built-in digital keypad to select room size and treatment time up to 50 hours. 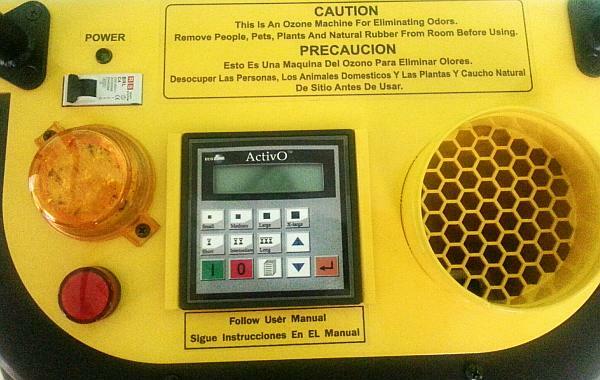 When the Super ActivO is turned on, a flashing yellow light gives the operator a one minute warning to leave the room before ozone generation beings. When ozone generation starts, the buzzer sounds 10 blasts. When treatment has been completed including the ozone deactivation cycle, the Super ActivO buzzer sounds again and the flashing light goes off. The deactivation cycle has removed the residual ozone and the area may immediately be re-occupied. Other typical applications of the Super ActivO include use by hotel and restaurant personnel to remove odors from large rooms contaminated by tobacco smoke, as well as to eliminate odors found in banquet halls and garbage storage areas and after painting. Super ActivO – Generates 12,000 mg/h Ozone, solves the problem and removes the Ozone. No degradation in Ozone production under high humidity conditions. Guaranteed fastest odour removal in its class. Control Panel – Fully automatic activation and deactivation cycles. Select room size and treatment time. Cycle time 15 minutes to 50 hours with ozone deactivation, without deactivation up to 72 hours.